The car's license plate says it all. We cannnot choose our license plates in France. Sometimes, I'd like to! And it is even a Volvo. 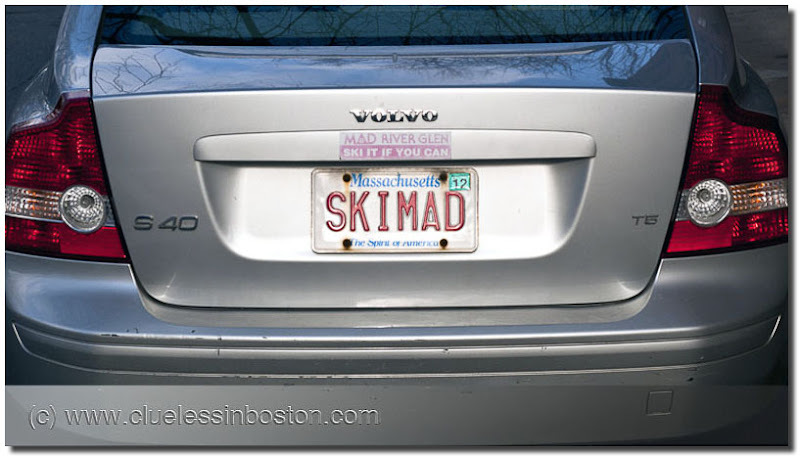 I used to think of Volvos, Saabs and Suburu's as the quintessential cars of upper middle class families in greater Boston. Good on the Vermont and New Hampshire icy roads (and to soccer games). That says it all!! We have some crazy plates here too!